If you lived in Texas for any length of time, you’re likely familiar with hail storms and the damage they can cause to cars, trees, and other aspects of your property. But have you ever considered the damage hail could be causing your roof? Hail can be a major source roof damage that can often times go undetected without a professional roof inspection. To help you navigate this home repair hassle, the Dallas roof replacement and repair experts at Aspenmark Roofing have compiled a list of indicators that will tip you off to hail damage sustained by your roof. Look for small dents or divots in the metal panels. Depending on the size of the hail, this type of damage should be easier to identify. Here, you’ll want to be on the lookout for missing parts within the asphalt. You’ll see areas on the shingle that have been exposed because the granules have been dislodged and swept away, exposing the black substrate. The first thing you’ll notice is “bruising” in the shingles. Since dents from hail may not be readily visible, you can run your hand or a cloth over the shingle to feel for small dimples on their surface . If you feel movement when pressing on a shingle or shingles, this is a clear sign that they’ve already begun deteriorating. If shingles are cracked, this is a clear sign of hail damage and needs to be addressed immediately. 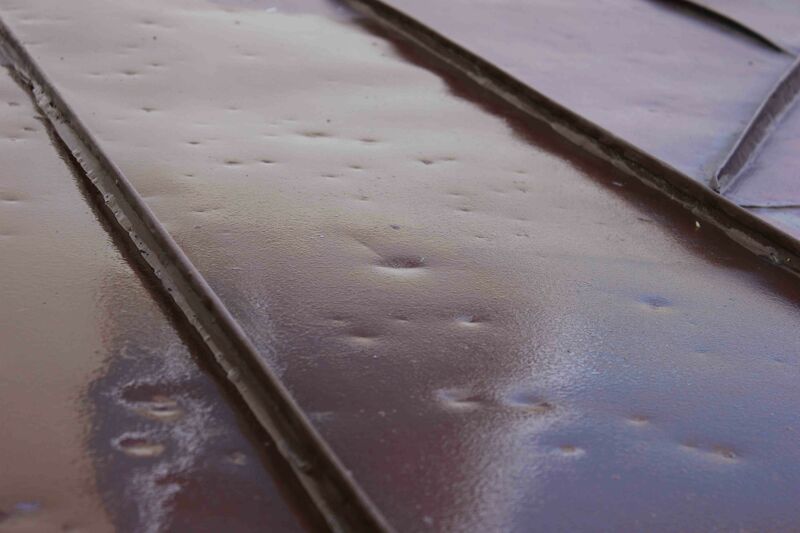 When hailstorms impact a wood surface the marks left will look gray or discolored. This indicates where the surface has been removed by the hail. All hails is not created equal. Use a trusted Dallas roofing contractor to ensure you get the right assessment of your roofing needs. Get tips on what to do when storm hits and how to develop a plan before you need it. Visit www.aspenmarkroofing.com/blogfor more roofing tips and insight.